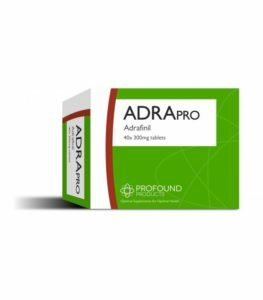 Non-narcoleptic users generally find that adrafinil gives them increased energy and reduces fatigue, while improving cognitive function, mental focus, concentration, and memory. It has been reported that quiet people who take adrafinil become more talkative, reserved people become more open, and passive people become more active. Of course, many stimulant drugs, ranging from caffeine to methamphetamine, are known to produce similar alerting/energizing effects. Adrafinil has been described by some users as a “kinder, gentler” stimulant, because it provides these benefits but usually with much less of the anxiety, agitation, insomnia, associated with conventional stimulants. Adrafinil’s effects are more subtle than those of the stimulants you may be used to, building over a period of days to months. They appear to be based on its ability to selectively stimulate 1-adrenergic receptors in the brain.2 These receptors normally respond to norepinephrine (noradrenaline), a neurotransmitter linked to alertness, learning, and memory. This is in contrast to conventional stimulants, which stimulate a broader spectrum of brain receptors, including those involving dopamine. Its more focused activity profile may account for adrafinil’s relative lack of adverse side effects. The standard dose is 2 to 4 300-mg tablets per day for improving cognitive function, although some people may find lower doses produce a desirable degree of improvement. Higher doses have been used to treat narcolepsy. Adrafinil (Olmifon) is not approved for sale in the US. However, individuals can order small amounts for personal use. [Check the CERI website (http://www.ceri.com) for a more extensive discussion of the regulations and risks involved in ordering drugs from overseas.] It is available by mail from sources listed on our page at: How to Order Your Pharmaceuticals from Overseas. Oral Chelation—The Strongest Natural Treatment for Your Heart, Arteries, Memory, and More!